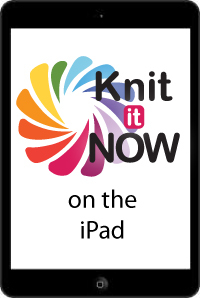 Do you use an iPad near your knitting machine? Now you can watch ALL of our tutorials without running to your desktop computer. When we started Knit Now, no one imagined the popularity of the iPad. The software we used to create our early tutorials wasn't compatible. We updated many of them to video ... but honestly it's much more fun to cover new topics than re-work old tutorials! We are excited to announce that we've updated all of the older tutorials. They remain in "presentation" style, but the information they contain is invaluable! If you've been hesitating to subscribe because of this issue, please reconsider! This is great news. I have subscribed sincd the beginning. Just love it. Thanks for your effort. Thanks so much to listening to your survey feedback about this particular issue. I'm excited to see all of your videos now! Thanks for the hard work in making the conversion.